Do you hear something? I think there's a noise downstairs and it's going to cause quite a stir. 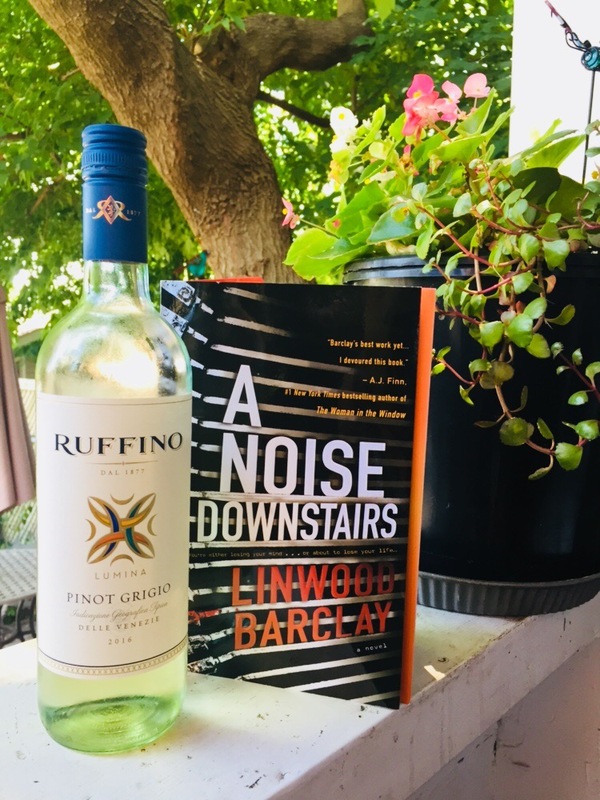 A new Linwood Barclay book draws much excitement, and with his latest entry A Noise Downstairs, his books should be flying off the shelf. 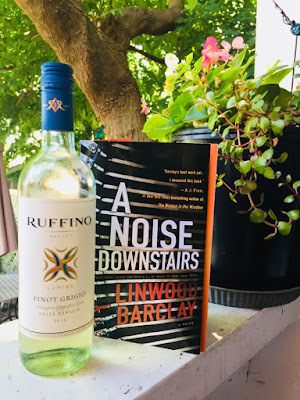 It sure got my attention: A Noise Downstairs has all the elements you’d expect from a Linwood Barclay classic – intrigue, great characters, and a plot that is addictive. Paul Davis is just a normal guy, leading a normal life. He works at the university, is married to his second wife, Charlotte. Sure there are some issues in their marriage, but whose marriage doesn’t have issues? Everything seems to be going fine, until one day he encounters something horrific. Driving down a deserted road, late one night, he notices his colleague’s car with a broken taillight. The colleague seems distraught and driving recklessly, so Paul decides to follow him. When they finally meet up, Paul realizes that the normally calm, charming colleague, is frazzled and standoffish. A quick glance at the back of the car, highlights two bodies. Before Paul has time to process what’s going on, he’s hit on the head and loses consciousness. We then meet Paul again six months later, suffering PTSD, depression and seeing a therapist (Anne White) regularly. He seems to be forgetting things, and also can’t help but think a lot about Kenneth Hoffman (the man who put him in this situation). What would cause someone to snap like that? Why had he killed those two women that he was having affairs with? Paul wondered why he himself didn’t see the signs of distress in Kenneth Hoffman? These questions haunt him. The idea of Kenneth Hoffman haunts him. He needs closure and thinks perhaps writing down his thoughts and experiences will be cathartic. Perhaps, it can even be a novel or memoir. He needs to confront Kenneth Hoffman and understand who he is. Which means that he may even decide to visit him in the penitentiary. Paul’s wife, Charlotte, seems to be very understanding, and encourages him to take steps to make it happen. She also goes to the extent of buying him a typewriter, so he can be inspired to write his story. How do you take that for a supportive spouse? That’s when the plot thickens. Was this the same typewriter that Kenneth used to write the confessions from the murdered victims? Paul seems to think so. To add to the confusion, Paul hears typing on the typewriter late at night. Is he hearing things? Or is the typewriter actually trying to communicate with him. Then, the messages surface. Who’s writing them? The dead? Paul? The book is unusual in that it’s a one off for Linwood Barclay, who has had a reputation for writing mystery series. I have read other books of his, and was really looking forward to The Noise Downstairs. Don’t get me wrong, I enjoyed it. I looked forward to the ending and a few times was blindsided. But, overall, it didn’t shock me in the same manner his other mystery novels had. Perhaps, I’ve ready too many of mystery novels of late, or perhaps there was a familiar predictable cadence to The Noise Downstairs. Ultimately, it was a bit of disappointment for me, especially for an author whom I hold in high esteem…arguably too high…and therein lies the crux of the problem. But what Linwood Barclay does well, is that he is an astute observed of the human nature. His characters are authentic. You can visualize them, because you do know someone like that in your life. Life is not always peachy, and sometimes good guys finish last. Life is not always fair (even though you desperately want it to be). And so, Linwood Barclay is still high up there in my list of “authors to read”. Let me know what you think of the book and the blog. Leave me your comments. I paired this book with Ruffino white wine for my backyard reading pleasure and it make a perfect Books & Wine weekend. A Noise Downstairs by Linwood Barclay is published by Doubleday Canada. Copy provided by Penguin Random House Canada.